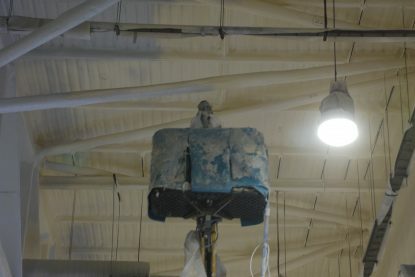 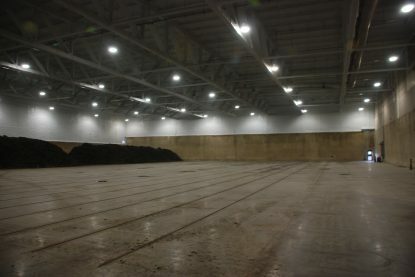 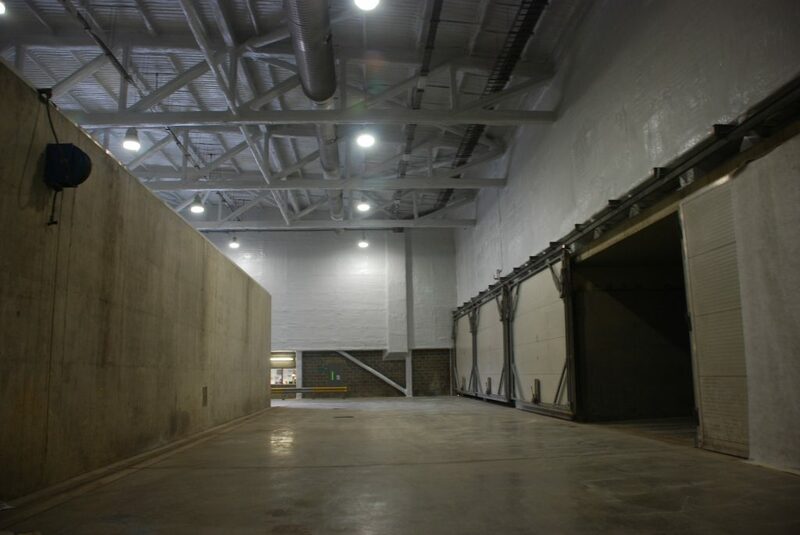 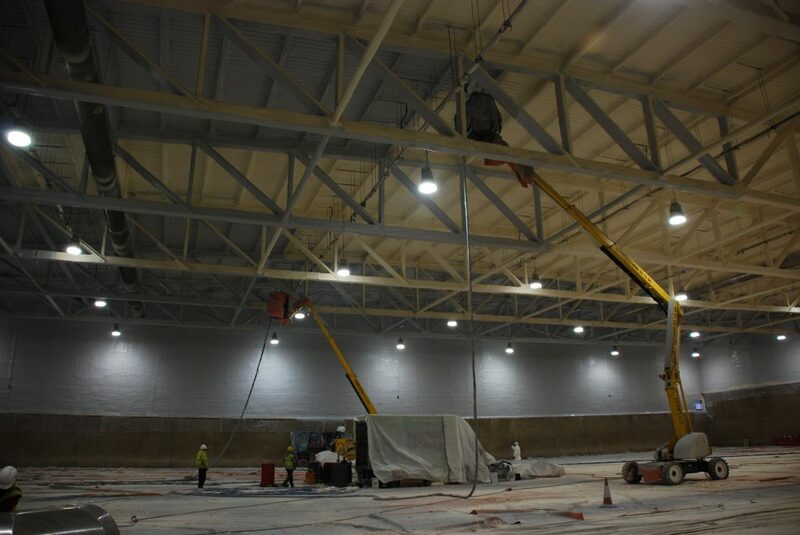 The facility was cleaned and prepared ready for the TES coating system. 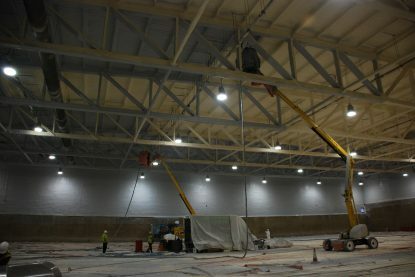 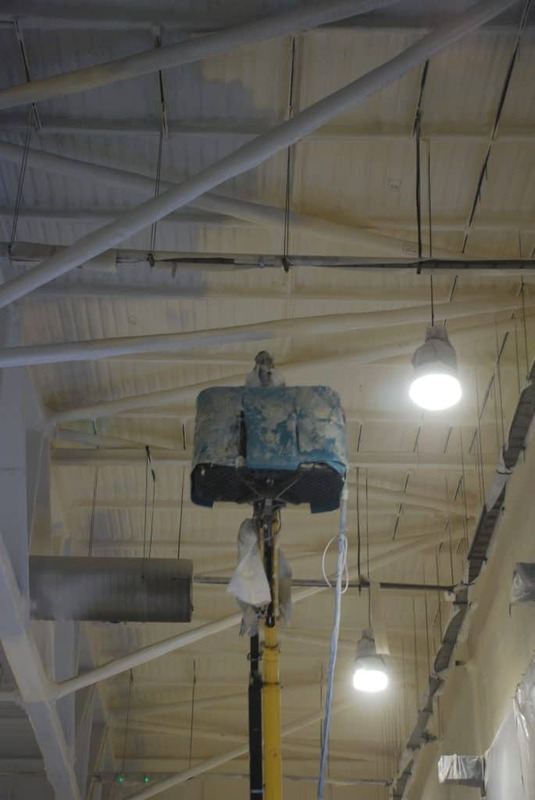 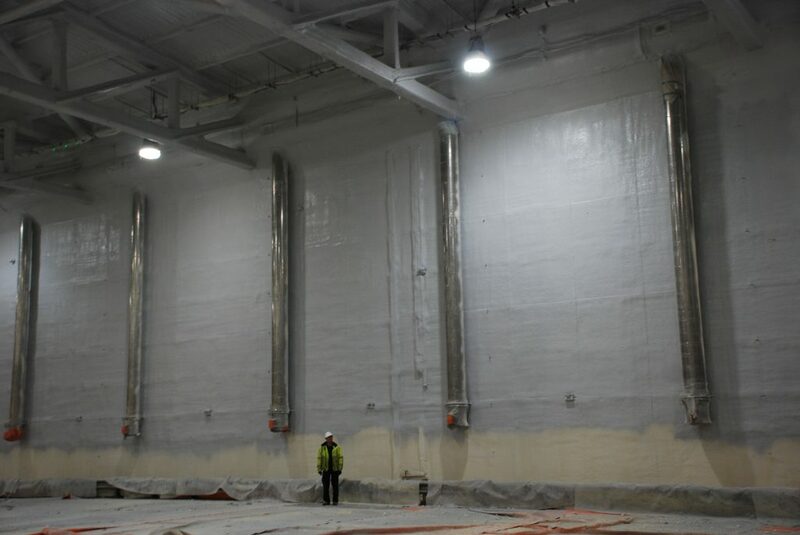 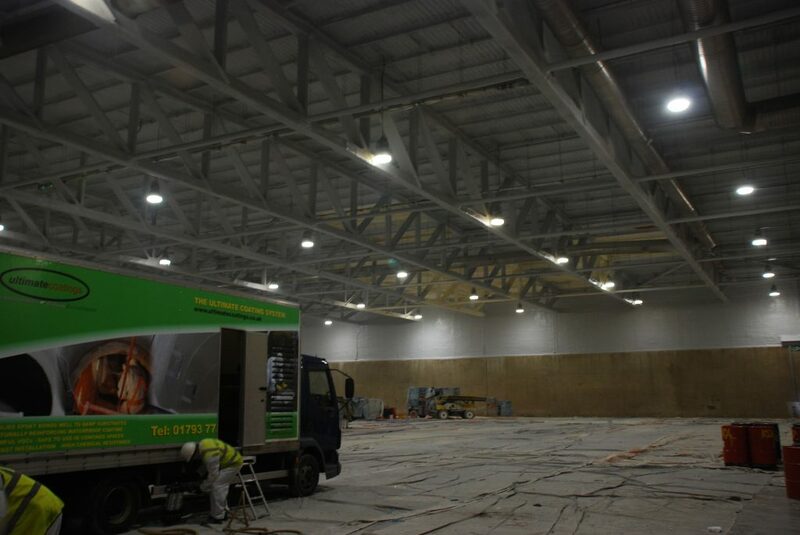 Fifty seven tonnes of closed cell foam was applied to this facility along with sixty eight tonnes of our Polyurea flexible coating system directly applied to the foam. 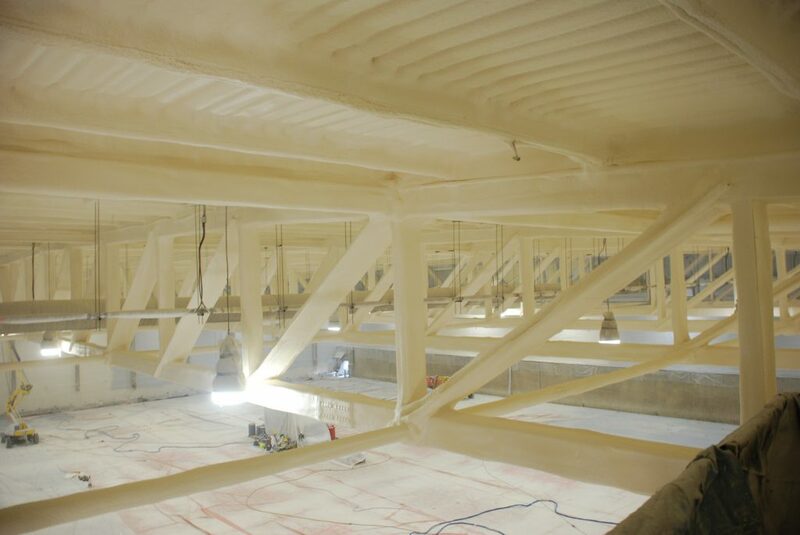 The whole facility was coated as a single monolithic coating system which will prevent further corrosion and to eliminate condensation from the building surfaces. 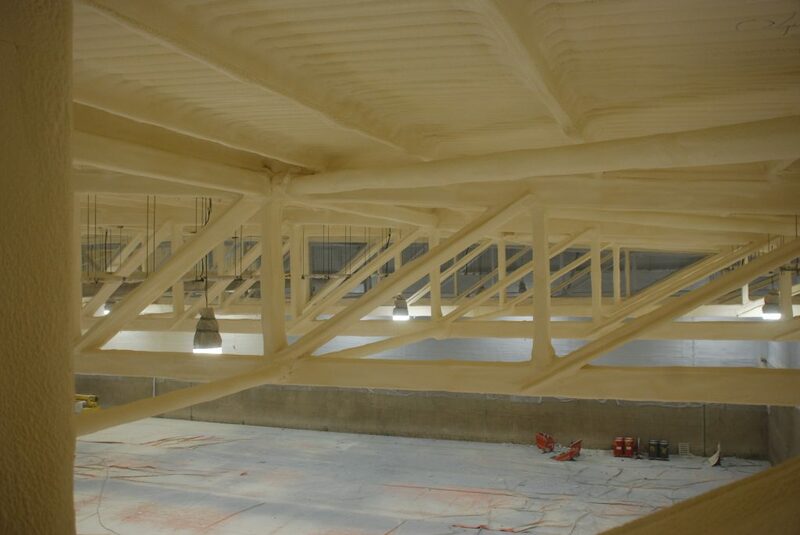 We are so confident with our TES system, that we have given a 25 year full warranty to this project!